Our favorite and best selling rose from last year is back in stock now! 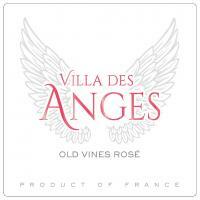 The 2017 Old Vines Rosé checks in as 100% old vine Cinsault sourced from 40-year-old vines around the village of Capestand, which is northwest of Beziers, in the Languedoc. It's a juicy, mineral-driven, salty, charming effort that has beautiful peach and strawberry fruit. It sells for a song and is as easy-drinking as they come. Rated 88/100 Jeb DunnuckA light-bodied wine, intensely crisp and vividly fresh, it offers complex aromas of strawberries and red currants, with a hint of quince. Serve With: As an aperitif it is the perfect warm weather gulper and also pairs well with a wide range of salads, seafoods, lighter dishes and grilled white meats and poultry.